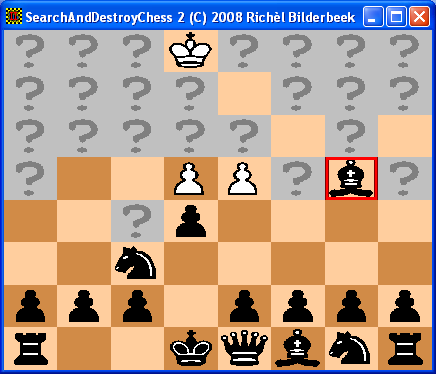 There is also a console/MS-DOS version of SearchAndDestroyChess called SearchAndDestroyChessConsole. 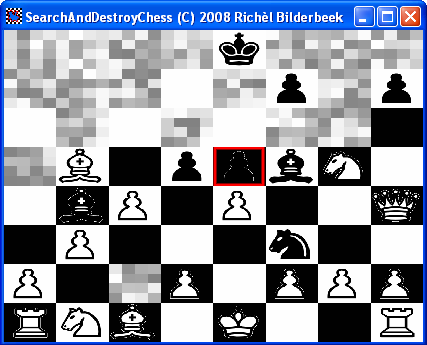 There is also a VCL version of SearchAndDestroyChess called SearchAndDestroyChessVcl. 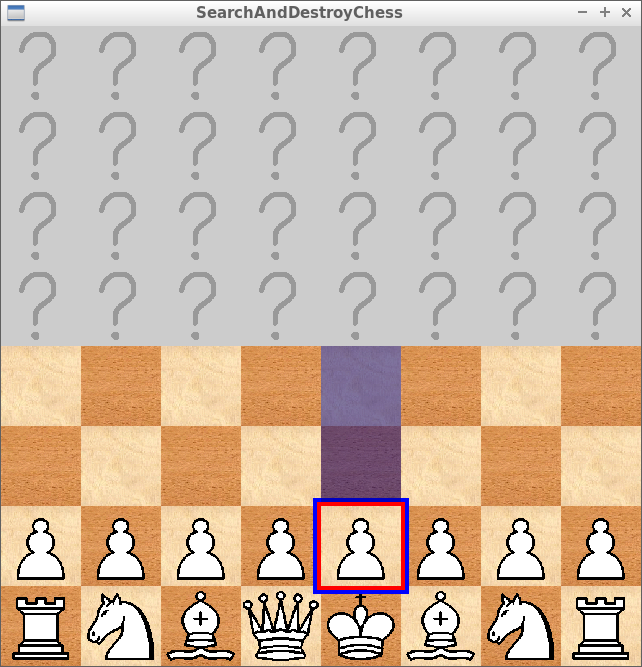 SearchAndDestroyChess is programmed in C++ using the SFML, STL, and Boost libraries. One month after putting SearchAndDestroyChess online, I found out I wasn't the first to have invented this variant :-(. 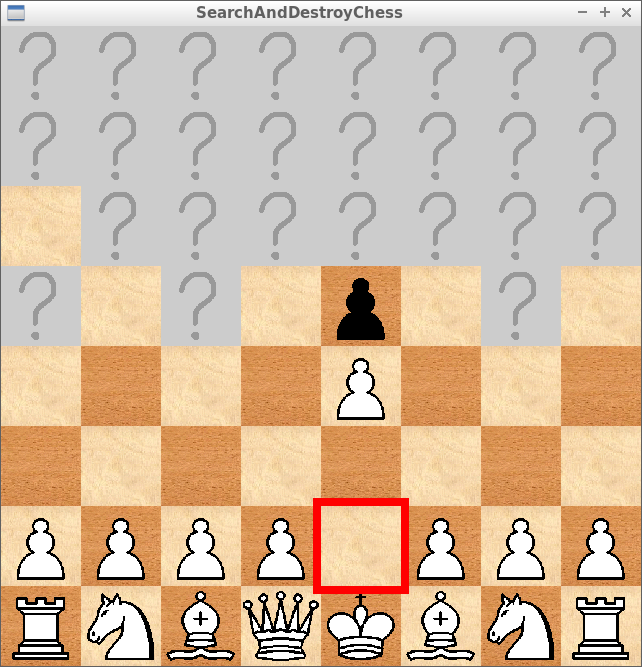 The source code is hosted at the SearchAndDestroyChess GitHub.